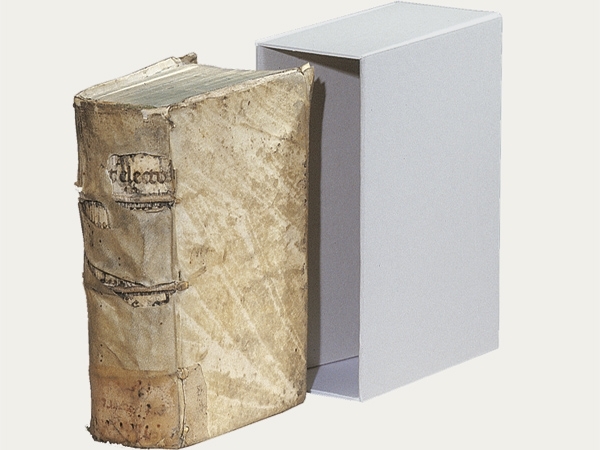 Slipcases provide five-sided protection, generally leaving open the spine of the book facing the observer. Hence, most parts of the book are protected from dust, light and other influences. A special form of the slipcase is the book shoe, which is open on two sides (at the spine and top of the book). Alone or in combination with a slipcase, this serves to protect books from direct contact to neighbouring books. A classical slipcase designed for books. Book spine visible. Available with or without a finger hole. Delivered either as a foldable construction with self-locking tabs (plug-in) or a pre-assembled construction, glued together. The former is shipped flat and the latter assembled and upright.